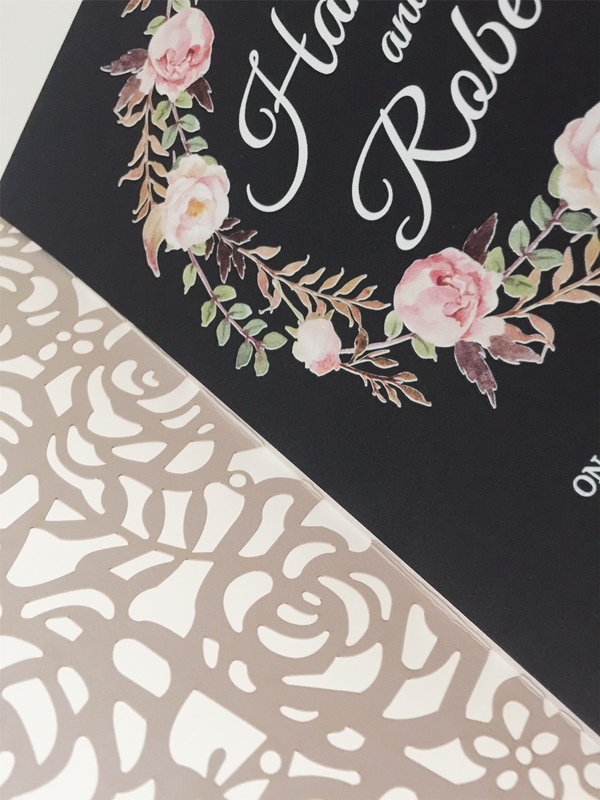 Finishing touches really allow you add your own stamp to your invitations and make them unique. 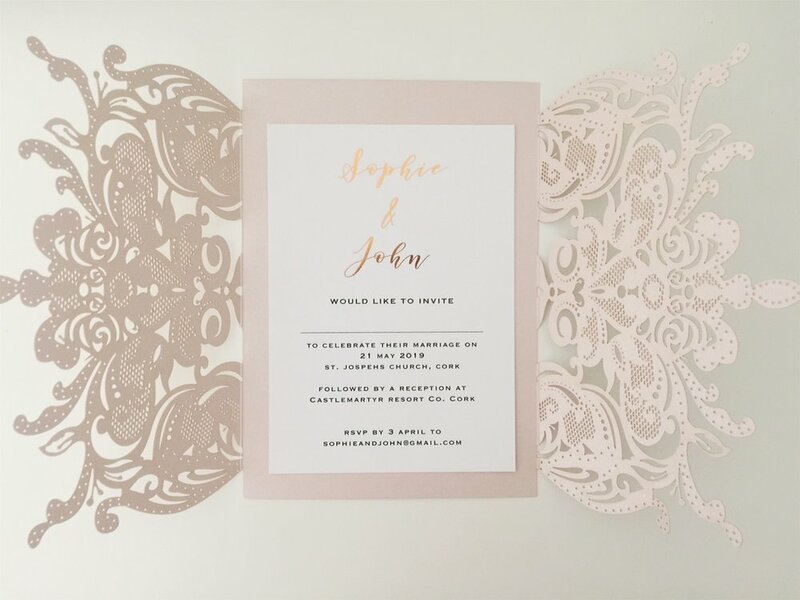 We stock a wide range on finishing touches for your invitations, laser cut pockets and pocket folds. These include, ribbons, tags, twine, bellybands, keys and buckles. 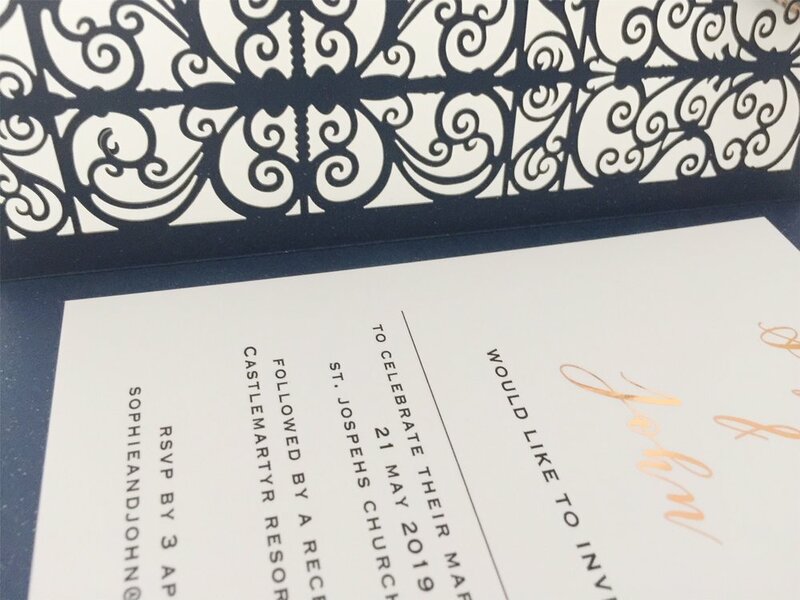 Laser cut pockets are a beautiful way to showcase and complement your invitations. 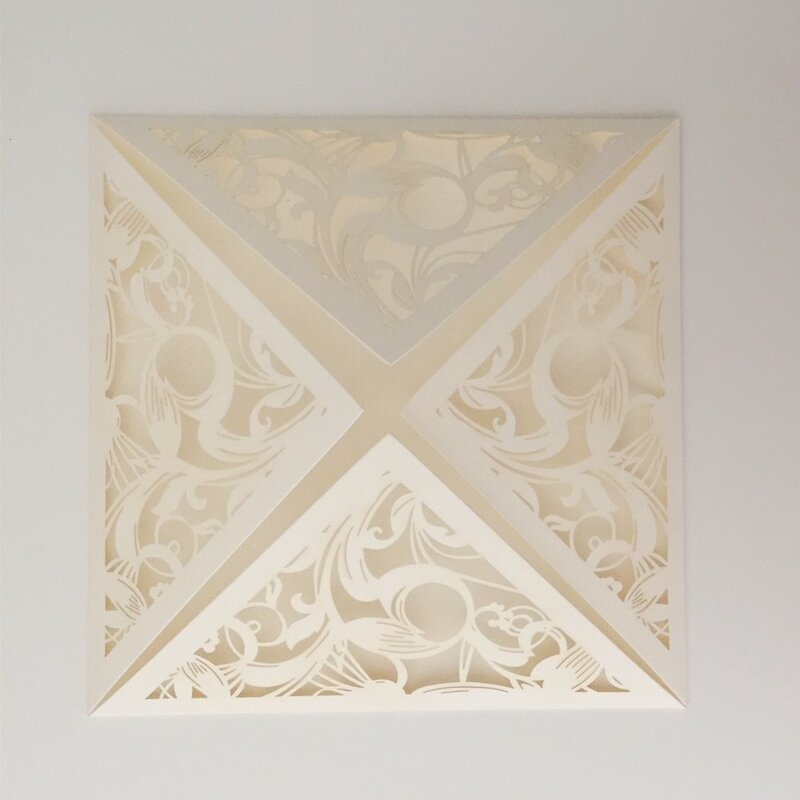 We stock laser cut pockets in a variety of colours, sizes and styles. 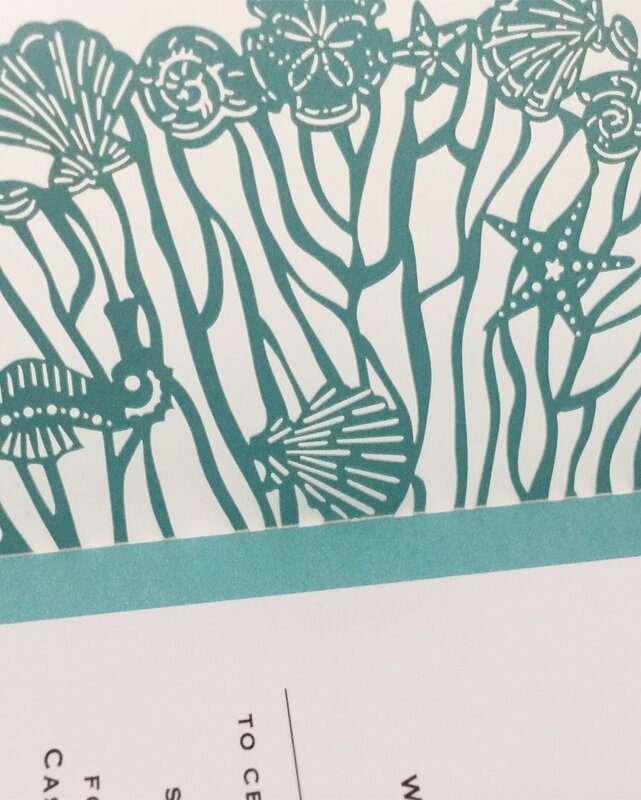 Matching invitation backing cards, bellybands, ribbons, tags and envelopes are also available. 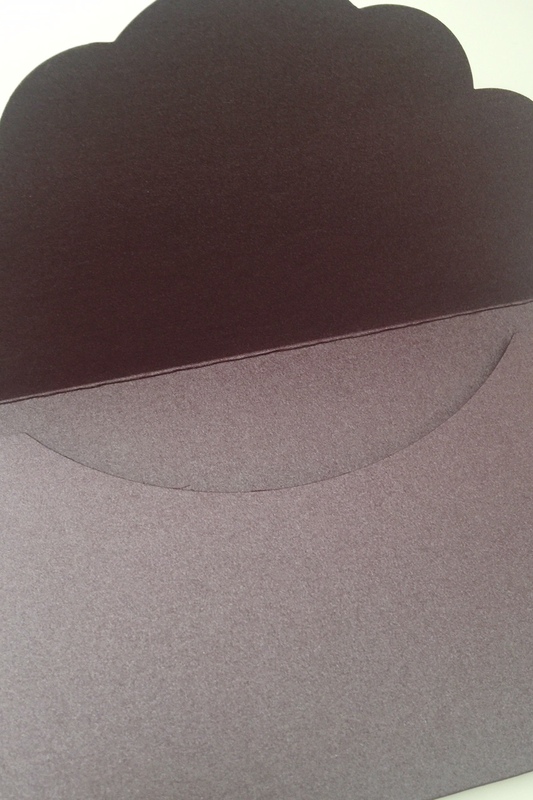 Pocket folds are a beautifully simple way to embellish you wedding invitations and allow you to assemble your wedding invitation, RSVP card and information insert all together in one neat package. We stock a selection of style, colours and sizes. Matching items available. 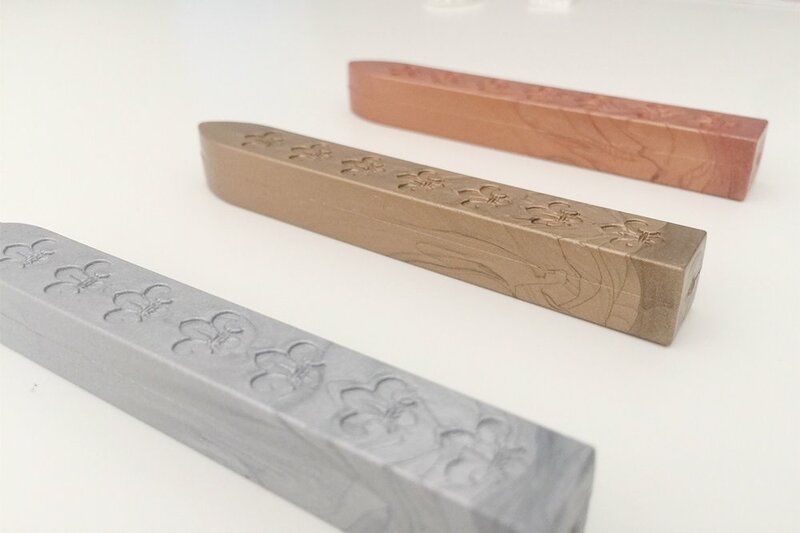 Wax seals are a beautiful way to seal your wedding invitation envelopes and give your guests a great first impression of your wedding. Seals come in a number of different designs and can also be customised if you want a specific design. Wax comes in a number of colours.